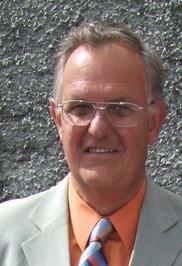 Gordon Waddell was born in Scotland, and qualified in medicine at Glasgow in 1967. Orthopaedics then beckoned and he was appointed to the Western Infirmary, Glasgow as Consultant Orthopaedic Surgeon in 1977. Thus began his special interest in understanding spinal problems, back pain, and their resultant disability. Gordon was an extraordinary scientist and communicator, with an uncanny ability to synthesise complex information and present it in a way that changed how people did things. His impact has been worldwide. Gordon’s clinical experience alerted him to the fact that the contemporary medical model simply did not adequately explain the impact that low back pain had on his patients. Gordon had a tremendous capacity for careful data collection and analysis which served as the foundation for a novel alternative approach to clinical assessment that could disentangle the physical, psychological and behavioural aspects of low back pain disability; this evolved into the biopsychosocial model of low back disability for which he received the 1987 Volvo Award. This model seriously challenged how we should think about and tackle low back pain, and it was Gordon’s reliance on a careful evidence-based approach, rather than on medical folklore, that characterised this and his later investigations into common health problems. 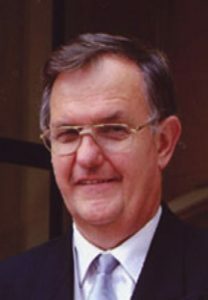 In recognition of his early work, Gordon was appointed an Honorary Professor in the Department of Orthopaedic Surgery, University of Glasgow in 1992. He developed a national recognition for his weekly “problem back clinic”, which accepted consultant referrals of people with challenging refractory back pain, a subset of whom had previously had lumbar surgery. That, however, was but the beginning of the journey. Next, Gordon deliberately escaped his primary discipline and redirected his energy towards tackling the problem of low back pain at a societal level. He was a key member of the Clinical Standards Advisory Group on back pain set up by UK health ministers, which highlighted the need to deal with the epidemic of chronic back pain and disability: he also was invited as a consultant to the USA back pain guideline committee, both reporting in 1994. This was followed by another key role in synthesising the evidence to develop the RCGP clinical guidelines for acute low back pain in the UK (1996 and 1999). This work awakened Gordon’s interest in evidence-based patient information material, and along with a small team of like-minded researchers he co-authored The Back Book, a booklet to help people with back pain avoid its disabling consequences. It has been translated into numerous languages, and is still the world leader of its type of educational material. Gordon next turned his attention to the world of work and health. He made a major contribution to the development of occupational health guidelines for managing back pain at work, published in 2000 by the Faculty of Occupational Medicine, from whom he later received an Honorary Fellowship (2007). Around this time Gordon moved into the policy arena, guiding and influencing the development of policy in the Department for Work and Pensions where he was instrumental in changing ministerial thinking and attitudes to disability. The focus of his work remained on implementing early intervention to avoid disability, and so it was perhaps inevitable that Gordon’s interest would next turn to the subject of rehabilitation. There followed a series of major policy reviews commissioned primarily by the DWP, predominant among which was the influential report presenting the evidence that (good) work is good for our health and wellbeing (2006). It is widely accepted that this piece of work underpins contemporary initiatives (in clinical, occupational, and policy realms) aimed at helping workers avoid unnecessary sickness absence and disability. The last major review (2008) laid out the evidence for an innovative approach to early vocational rehabilitation, explaining the ways in which it can be delivered for optimal benefit. It was shortly after this that Gordon chose to retire from academic life, to spend more time with his family and follow his other interests. In typical style, he quietly waved goodbye as he left the podium at the Royal Society of Medicine to catch his plane back to Glasgow. However there is one more major achievement missing from the above potted history, and that is Gordon’s seminal book on back pain – The Back Pain Revolution, which had its first edition in 1999 and was updated in 2004. This is no typical textbook about back pain: although it does contain essential medical information, much of the book is devoted to presenting the evidence on the social and psychological aspects of back pain, its accompanying disability, and what we might best do about it. It is a sublime example of how Gordon could communicate complex and sometimes contentious ideas, such as the need to stop over-medicalisation. Perhaps more than any other single publication this book has changed the way back pain is treated and managed. Gordon’s insights have illuminated clinical practice, teaching, and research all over the world, and the book continues to sell in substantial numbers. The revolution, it seems, is not yet over. The influence that Gordon had on the worlds of pain, work, rehabilitation, and policy was recognised with a wide variety of honours. His stalwart effort to influence government policy was recognised by the award of CBE in 2003 for services to social policy and disability assessment. He was awarded a D.Sc. by the University of Glasgow in recognition of his portfolio of research studies. Over the years Gordon was a consultant to the British and U.S. Departments of Health, the UK Department for Work and Pensions, the Swedish government, and the Medical Research Council. He was an active member of numerous international scientific societies, and an invited lecturer throughout the UK, Europe, Scandinavia, North America and Australasia. He was member of the International Scientific Advisory Board of MedRisk in the USA, as well as an Honorary Fellow of the American Academy of Disability Evaluating Physicians and a member of the Advisory Board of the American Board of Independent Medical Examiners. Closer to home, he was appointed Honorary Professor at the Centre for Psychosocial and Disability Research, University of Cardiff and was an Associate Professor at the British School of Osteopathy. Gordon was the best kind of Scot, having a strong work ethic, scrupulous intellectual honesty, and courteous in manner, yet (perhaps surprisingly) somewhat shy. In terms of his own efforts, he can be described, in equal measures, as a tenacious researcher and a visionary, but he was generous with his time as an advisor and mentor, and thoroughly enjoyed the sparring associated with pushing the boundaries of science and understanding. Many will remember his mischievous sense of humour, which he scattered liberally across his lectures. Despite all his professional achievements, Gordon found time for restoring a 17th Century cottage in the Scottish Highlands, and to write a 500-year history of the glen (Highland Roots 2013). He loved hill walking, and did much thinking out on the mountains: although he became entitled to a certificate for conquering all 283 Munros (Scottish mountains over 3000 feet), he insisted it be made out in the name of the border collie who accompanied him on all his climbs! Gordon was a family man, and it is fitting that in his later years he had the opportunity to enjoy precious time with his wife Sandra, their three daughters (Carol, Joyce and Heather), and the grandchildren. He will be greatly missed. “Gordon made a huge contribution to the health and work agenda. He was a true gentleman; a real visionary; and an excellent communicator. It was a real privilege to have worked with him and he leaves behind a considerable legacy,” said former FOM President Dr Bill Gunnyeon.